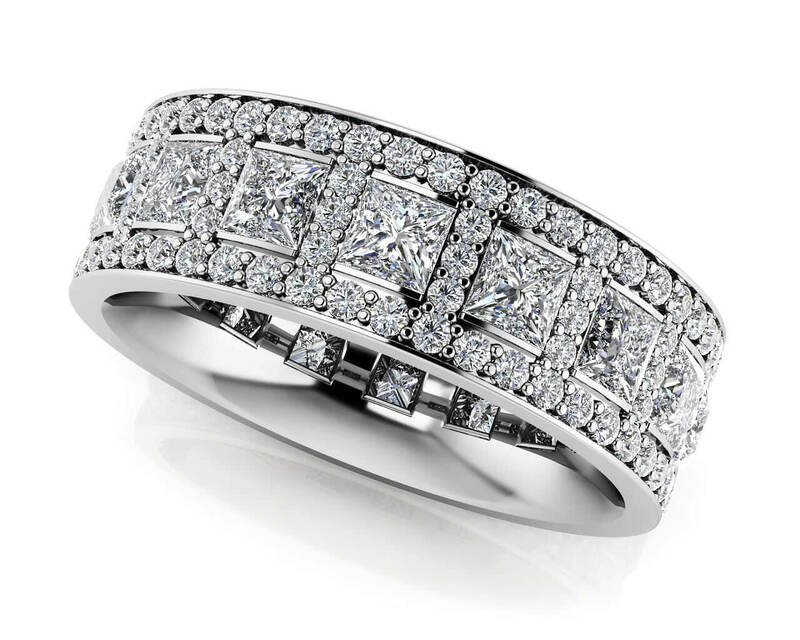 Total Carat Weight: 3.09 ct.
Stun everyone around you with an eternity ring fit for a red carpet event! 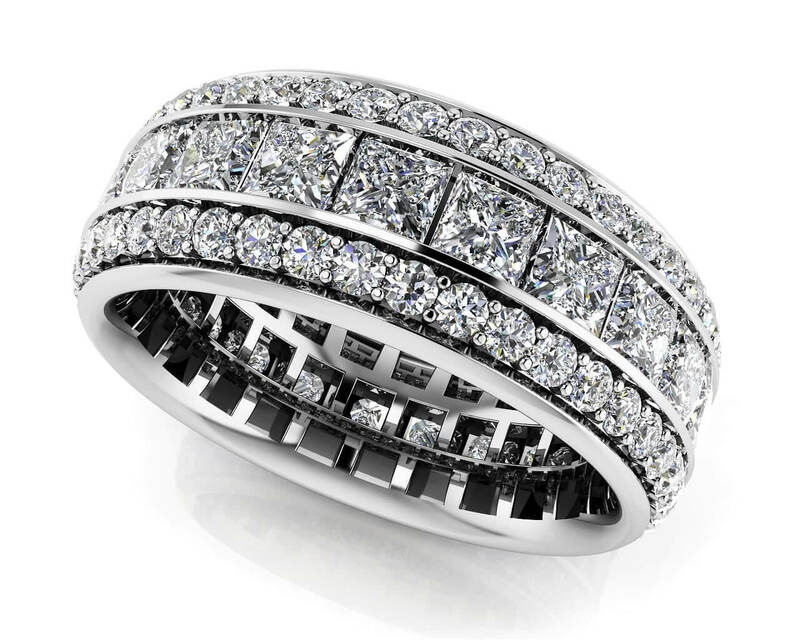 This eternity ring showcases beautiful princess cut stones in a channel setting surrounded by an elaborate display of round diamonds set with prongs. 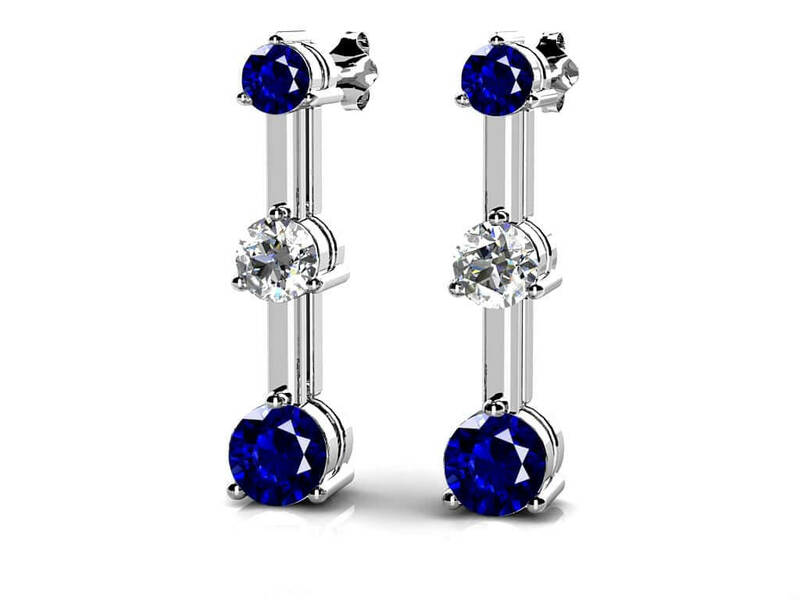 Customize your red carpet look with your preferred metal type, total carat weight, and diamond quality. Model Carat Weight: 3.09 ct. Effective Carat Weight: 3.09 ct.
Stone Carat Weight: 48X0.005 ct., 96X0.008 ct., 16X0.130 ct.